You’ve probably heard that learning Hanja plays an important role in learning Korean. But you’ve probably also heard lots of conflicting messages about how to go about learning it and when to start learning it. I want to make my first point clear, but I’m going to need to give some background information and an example. Hundreds of years ago in Korea, Korean people wrote in an ancient form of Chinese. However literacy was low due to the complexity of the written language. Enter king Sejong. He simplified the Chinese written language into an alphabetized language known today as “Hangul”. As great as this was it came at a cost. Due to the simplified nature of Hangul it became possible for multiple Chinese characters became represented by one single Korean character. 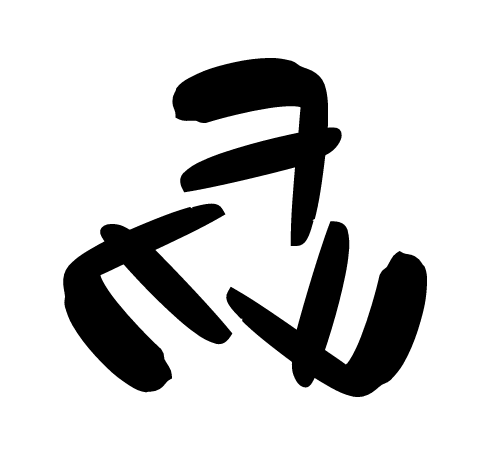 For example the character 정 could mean upright, stop, or fresh/refined. It could mean many other words as well but for the sake of illustration I’ll list only these three. Take another character: 육. It could mean either meat, six, or rear (a child). Finally one more character: 점. It could mean shop, point, or occupy. Now let’s pretend that you’re in a world where the very first butcher shop was opening. No one knows what to call it so we throw a couple of logical words together. Lets say in Chinese we use these three words: 精(fresh/refined) 肉(meat) 店(shop), and the resulting word is fairly self explanatory. In Korean we have to write it as 정육점, using the three characters I talked about above. However you can’t be sure which character 정 represents, or which character 육 and 점 represents either. Even Koreans would have to guess what this word meant until someone told them. So what does this all mean for you as a Korean learner? This presents an opportunity to break down the word into three individual components. If you already knew what each individual component meant, you the resulting word is easy. If you didn’t, trying to remember 정육점 would be a nightmare. As I wrote in point 1) there is no need to know what 정 looks like in Chinese, but only for you to know that it can potentially mean a couple of different meanings. Unfortunately it is not as straight forward as typing each Korean character into a dictionary and finding what the English meaning is, because you need to tell the dictionary which 정, which 육 and which 점 you’re talking about. You will need to use the Hanja as a conduit to finding out what the English meaning of the character means. . This is what I mean by learning through Hanja, and I’ll show you how to do this below. You want to start learning Hanja when you know around 2000 words. There is a web app you can use as an approximation. Alternatively if you’ve ever sat the TOPIK II exam and you’re at or close to band 3 that is also a good indicator you’re ready. Learning Korean with Hanja is like using an existing web of words to branch out into a bigger word web. If your existing web is too small it won’t provide a solid foundation. You’ll see what I mean below. When I say “learn” Hanja I do not mean go look up a list of the most commonly used Hanja in a book or online and learn how to read or write it. If you’re going to do this you may as well go learn Chinese and come back in a year or twos time (this is actually not an exaggeration). Learning to read or write Hanja is an incredible time investment that is simply not worth it. Unless you literally have nothing else to do, please don’t do this. Copy paste the Hanja you’re after. In this case its the first one (心) into a Chinese-English Translator to find out what the English meaning of the character is. In this case the result will be “heart”. Knowing that 심 means heart will help you “feel out” what the three other words mean. Do not worry about what the actual Hanja looks like or how to write it. You just need to know that 심 means heart. This is process of learning through Hanja rather than actually learning Hanja. I’ll give another example – 직업 (job/職業). The Hanja is so ridiculously complicated. Could you imagine learning to write it? Instead, first look up 직업 in the Naver dictionary and find the Hanja. Then take the first Hanja and look it up in the Chinese-English translator, and you’ll find that it means office/duty. Using this knowledge it will help you learn words such as 직장, 직원, 직무. You are only learning the meaning of the underlying Hanja. You are not learning how to read or write the Hanja. Simply knowing that 심 can mean heart and 직 can be office/duty is all you need to do. Unfortunately each Korean character usually contains multiple Hanja meanings. For example 직 can mean office/duty, but it can also mean 織(weave/조직) or 直(straight/직진). Some Korean characters have fewer Hanja meanings while others can have a lot. So unfortunately it is not a 100% way of being able to predict the meaning of Korean words but will certainly aid in your ability to predict what words are likely to mean. And just as importantly it will help you remember difficult words. You will need to develop an eye for observing when you are seeing the same Korean character over and over again. When you learn words like 관심, 심리, 핵심 it is up to you to notice that 심 is being used over and over again, and develop the sense to know when you need to go look up the Hanja meaning. You will find that the more words you know, the faster you’ll pick up new words due to this “word web” metaphor. If there is a particular character you’re curious about you can use the Naver Hanja dictionary to find a list of words it is used in. You can learn a bunch of words and that way you’ll get a better feel of what that Hanja means. Not all Korean words are of Hanja origin. About 70% are. Pure Korean words like 먹다, 가다, 날, 해 do not have Hanjas. When you search them up in the Naver dictionary, the place that normally shows the Hanja will be blank.